Upcoming Pakistan movie Chhalawa’s teaser has finally hit the web and from the looks of it, the movie is all set to create a massive splash on cinema screens on Eid ul Fitr 2019. Wajahat Rauf has directed, written and produced the movie. 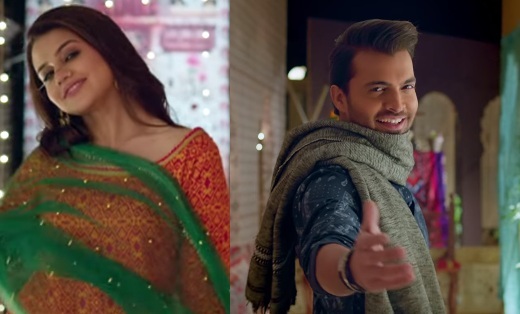 Starring the best of Pakistan’s entertainment industry; Mehwish Hayat, Azfar Rehman, Zara Noor Abbas Siddiqui, Asad Siddiqui, and Mehmood Aslam, the vibrant teaser is loaded with romance, drama, comedy and wedding vibes. Watch The Teaser Of Chhalawa Here. After starring in the web-series ‘Enaya’ together, Azfar and Mehwish return as a romantic pair and their chemistry seem pretty strong in the teaser. Asad and Zara Noor Abbas will bring their off-screen chemistry to reel life in the movie. And seems like Mehwish Hayat has a dance number in the rom-com. Chhalawa will be clashing with Bilal Lashari’s Legend Of Maula Jutt and Yasir Nawaz’s Wrong No 2 at the box office this Eid ul Fitr. What do you think of the teaser? Let us know in the comments below. Stay tuned to DailyInfoTech for more updates.